Jitendra Kumar Pandey from Delhi, BBA Graduate. Jitendra Kumar Pandey is PGDM IN MARKETING AND OPERATION and currently have no work experience. are one of expert skill area's of Jitendra Kumar Pandey . 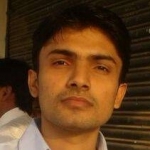 Jitendra Kumar Pandey is working in IT Software industry.